One of the first large pieces I saw at Upfest 2017 was this fabulously pink ice cream delight from Buff Monster on the side of the Salvation Army building which has played host to some wonderful work in previous festivals. 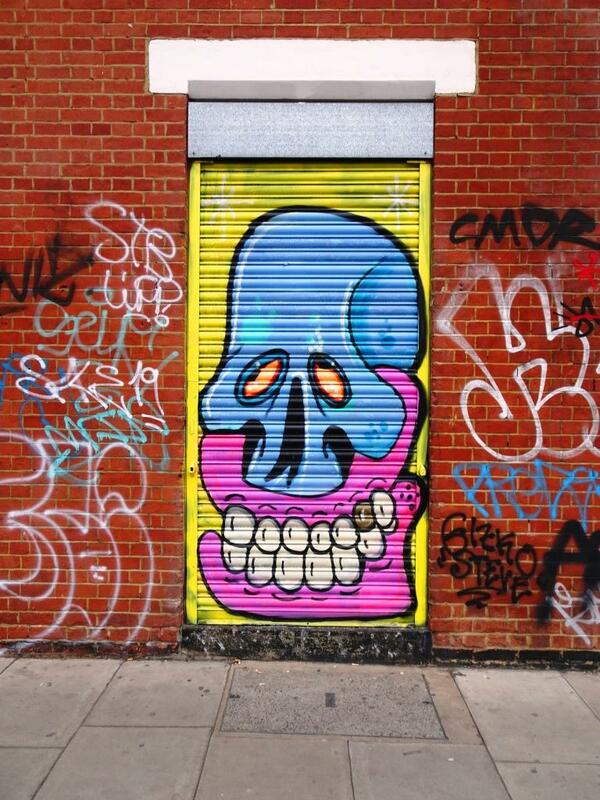 There seems to be quite a big thing for monsters in the street art world, and I guess it relates to having a licence to spray whatever comes from the imagination. There are some great monster artists out there of which Buff Monster is one. This is a great big piece of fun which has been beautifully sprayed and is a real asset to this part of East Street. I hadn’t seen any of Buff Monster’s work before this (one of the brilliant aspects of Upfest), but was lucky enough to find a piece subsequently when I was on holiday in New York. It is always great to see something by an artist you are familiar with…comforting.